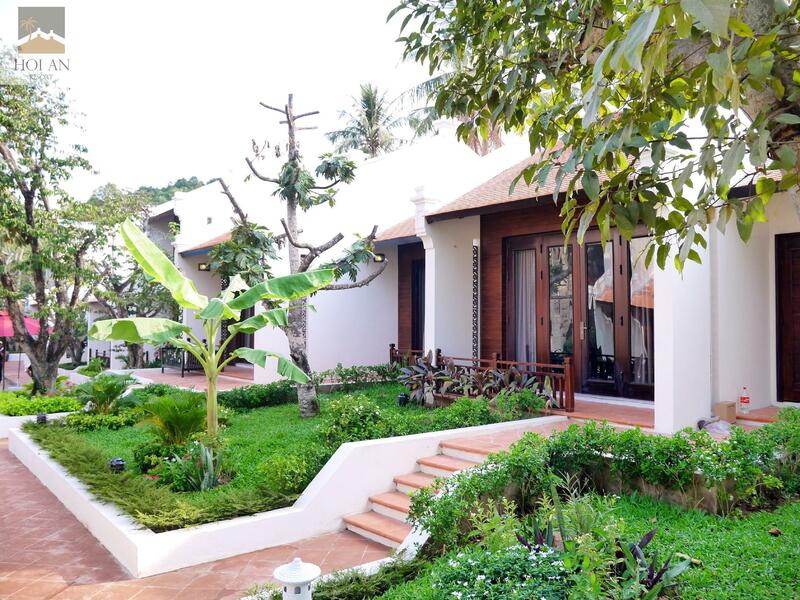 Ιδανικό για χαλάρωση και διασκέδαση, το Hoi An Phu Quoc Resort βρίσκεται στην περιοχή Περιοχή Ντουονγκ Ντονγκ της πόλης Phu Quoc Island. Σε απόσταση μόνο 1 Km από το κέντρο της πόλης, οι επισκέπτες βρίσκονται στην κατάλληλη θέση για να απολαύσουν τα αξιοθέατα και τις δραστηριότητες. Με την βολική του τοποθεσία, το ξενοδοχείο προσφέρει εύκολη πρόσβαση στους προορισμούς της πόλης που πρέπει οπωσδήποτε να δείτε. 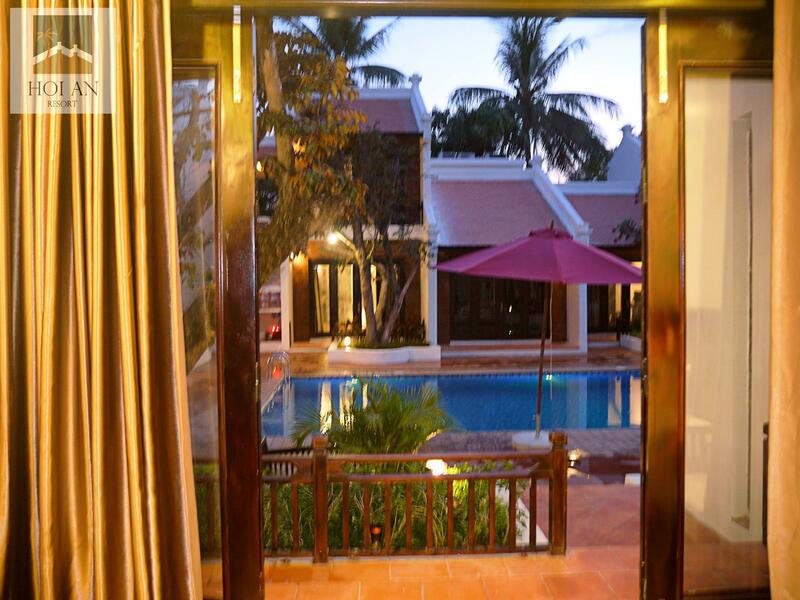 Το Hoi An Phu Quoc Resort προσφέρει επίσης πολλές εγκαταστάσεις για να εμπλουτίσετε την διαμονή σας στη Phu Quoc Island. Μια επιλογή από εξαιρετικές ανέσεις όπως τα 24ωρη υπηρεσία δωματίου, δωρεάν WiFi σε όλα τα δωμάτια, 24ωρη φύλαξη, σταθμός ανεφοδιασμού μπαταρίας αυτοκινήτου, ημερήσιος καθαρισμός σας περιμένουν στο ξενοδοχείο. Το Hoi An Phu Quoc Resort διαθέτει 28 δωμάτια. Όλα τους είναι διακοσμημένα με γούστο και πολλά από αυτά παρέχουν ανέσεις όπως επίπεδη τηλεόραση, επιπλέον μπάνιο, επιπλέον τουαλέτα, τηλέφωνο μπάνιου, μοκέτα. Οι γυμναστήριο, εξωτερική πισίνα, σπα, μασάζ του ξενοδοχείου είναι τα ιδανικά μέρη για να χαλαρώσετε και να ηρεμήσετε μετά από μια πολυάσχολη μέρα. Το Hoi An Phu Quoc Resort είναι ένας ιδανικός τόπος για να μείνετε αν ψάχνετε για γοητεία, άνεση και ευκολία στη Phu Quoc Island. Our first room was moldy and when it rained, water started dripping down the walls. When we complained they upgraded us to a better room, which was a little bit better and a little less moldy. The breakfast was supposed to end at 9:30 am, but when we came to eat at 8:30 am there were not much left to eat. The hotell might have been nice 10 years ago, but needs a lot of renovation before welcoming any more guests! The only good thing was the nice staff in the reception who tried to make our stay better. Nice Pool and Bungalows and beautiful gym! Due to the little number of guests the breakfast variety was limited. Run by teenagers with little English. Breakfast is a disgrace, location up a dark lane with lots of dogs around. Room Which was the deluxe was dimly lit, lamp and sockets not working and neither was the safe. Scruffy furniture. Pool looks good but look closely at the scimmers on the floor of the pool to see how filthy it is. Haidas reputation is at stake with properties like this! but hotel is in good location, nice beach, nice staff. room is smaller than in photos. On the first day at this hotel, they didnt change the sheets and there was a musty smell in the room. They knew the day of our arrival at the hotel, they should prepare our room ahead . Next day they gave us new sheets and pillow cases. At breakfast their food was cold for many hours. They should have a warmer for foods. For 3 days we stayed there, we couldn’t use the swimming pool. Their excuse was because of the pump. False claim.When we arrived, we were told that the Xmas eve compulsory dinner was not available. I thought nothing of it, but the next day I enquired about the restaurant, and was told that, apart from breakfast, it was closed and there was no bar. As we made sure before booking that there was a restaurant, we were very dismayed. Every time we wanted to eat lunch or dinner, we had to go out, leading to no resting all day by the pool as we had envisaged, this also had the effect of incurring the cost of taxis. Speaking of the pool, on the second day it was green, the hotel handyman tried to clean it, and it did become less green, but remained cloudy, and was extremely green again by the time we left. Rooms were not cleaned adequately, floors not swept, surfaces not dusted, towels not replaced or were replaced with stained ones. There was old paint on a drinking glass. The wooden boarding around the pool was cracked and had nails sticking up in places. My partner and I booked a room in this resort for 7 nights but left after 4 due to numerous issues. Firstly the beds were extremely hard and uncomfortable so it was near impossible to get a full nights sleep. The water pressure in the shower was low and when I asked the staff if it was possible to resolve this issue they ignored me and walked away. The forth day there we had come back to find mouse faeces on the bed. At this point we decided to move hotel, we had askes for a refund on the last few nights as we were no longer going to be staying there. They said that this was not possible and we would have to hand the keys back if we planned to leave early or they would keep hold of our passports even though we had payed for the room. I WOULD NOT RECOMMEND STAYING AT THIS RESORT. The facility was not convenient for beach access, the maids never cleaned the bathroom, the room safe didn't work, the air conditioner was crappy. I usually don't post reviews, and I hate people that complain. But this was our honeymoon and we were expecting a nice experience in phu quoc. It wasn't. Period. Good security. Nice location for exploring both the north and south parts of the island. Nice pool and sun beds. Dirty floor mats not replaced. The doors were very thin, so lots of outside noise came into the room. Hard bed and low quality sheets. The shower pressure was weak. Only two staff members spoke English.